The Welch Allyn PC-Based Resting EKG is available at a reduced cost, and with a $200 rebate through the end of the Summer! earn and use, with the power and quality of Welch Allyn. Offer ends August 31, 2014. For more information on this promotion call 877-646-3300 or visit Medical Device Depot. Offer ends June 30, 2014. For more information on this promotion call 877-646-3300 or visit Medical Device Depot. The Welch Allyn Points of Care Promo extends into August with a new set of free products! Purchase select Welch Allyn products and earn points redeemable for free Welch Allyn products, rebates or service agreements. connecting people and medical supplies to a world in need. outside services, including PayPal are not affected. All customer information is safe and secure. phased out is $200,000.00 (the deduction will be completely phased out once purchases exceed $225,000). Off-the-shelf computer software placed in service during the tax year is qualifying property for purposes of the Section 179 Deduction. For more information about the Section 179 update, call us at 877-646-3300. Get your surgical instruments in the spring cleaning spirit with a Tuttnauer promotion for their EZ series of autoclaves. Please allow four weeks for delivery of the water distiller or rebate. For more information on this promotion, call 877-646-3300 or visit Medical Device Depot. Tuttnauer EZ Autoclaves come with a 2 year parts and labor warranty. Medical Device Depot donated a Datascope Passport Vital Signs Monitor yesterday to the Safe House of Hope in Baltimore, MD. The Datascope Passport is a multi-parameter monitor that performs tests for Non-Invasive Blood Pressure, Pulse Oximetry, and EKG. Sales Manager John Gladstein with the Datascope Passport. Adding these ancillary services can increase revenue and assist in taking better care of your patients. For more information go to www.medicaldevicedepot.com or call 877-646-3300. Note: General reimbursement information is being provided only as of January 1, 2014, on an “as is” basis. Medical Device Depot makes no representation or warranties of any kind to the accuracy or applicability of any content contained herein. The information does not constitute professional or legal advice on coding or reimbursement and should be used at your soul liability and discretion. All coding, policies and reimbursement information is subject to change without notice. Before filing any claims, it is the provider’s responsibility to verify current requirements and policies with the payor. A recent article collaboration between WebMD and Nasiff indicates that a woman's resting pulse rate is a good predictor of her heart attack risk. Although heart disease was primarily seen in men, recent studies show that the disease is rising in women. The increased cases of heart disease throughout the county emphasizes the need for effective cardiology equipment, including Blood Pressure and ECG Machines. Nasiff CardioCard products provide a competitively priced solution to your diagnostic needs. A free, no-obligation online demonstration for these machines can be arranged within five minutes. Medical Device Depot offers the best prices on all medical equipment, including the complete line of Nasiff products. For more information or to schedule a free online Nasiff demo, call 877-646-3300 or visit Medical Device Depot. If you are looking for a new EKG Machine, the Bionet line of machines now feature a four-year warranty. 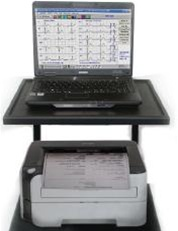 This includes the Bionet CardioCare 2000, CardioTouch 3000, and Cardio 7. In addition to interpretation, these machines come with with free EKG II Plus Software. This allows you to preview and control your Bionet EKG machine from your windows-based computer. For more information on the Bionet machines, call 877-646-3300 or visit Medical Device Depot. A stress test can be used to test for heart disease. Stress tests are tests performed by a doctor and/or trained technician to determine the amount of stress that your heart can manage before developing either an abnormal rhythm or evidence of ischemia (not enough blood flow to heart muscle). The most commonly performed stress test is the exercise stress test. The exercise stress test - also called a stress test, exercise elecrocardiogram, treadmill test, graded exercise test, or stress ECG - is used to provide information about how the heart responds to exertion. It usually involves walking on a treadmill or pedaling a stationary bike at increasing levels of difficulty, while your electrocardiogram heart rate, and blood pressure are monitored. Treadmill Stress Test: As long as you can walk and maintain a normal ECG, this is typically the first stress test performed. You walk on a treadmill while being monitored to see how far you walk and if you develop chest pains or changes in your ECG that suggest that your heart is not getting enough blood. Dobutamine or Adenosine Stress Test: This test is used for people who are unable to exercise. A drug is given to make the heart respond as though the person were exercising. Stress Echocardiogram: A graphic outline of the heart's movement. A stress echo can accurately visualize the motion of the heart's walls and pumping action when the heart is stressed; it may reveal a lack of blood flow that isn't always apparent on other heart tests. Nuclear Stress Test: This test helps to determine which parts of the heart are healthy or unhealthy. A small amount of radioactive substance is injected into the patient. Then the doctor uses a special camera to identify the rays emitted from the substance within the body both at rest and after exercise. This detects areas of the heart with a decreased blood supply. For more information on stress testing, call 877-646-3300 or visit Medical Device Depot! According to the American Society of Anesthesiologists, continual monitoring for the presence of expired carbon dioxide is standard for every patient receiving anesthesia. The Respsense Monitor offers MedAir EtCO2 technology for continuous long-term monitoring. It is simple and easy-to-use for EtCO2 spot-checks as well as ET-tube placement verification. Portable, accurate, and cost-effective, RespSense is perfect for emergency services and ambulance use - or in clinical settings where fast, easy EtCO2 monitoring is required. Nonin Medical's LifeSense multi-parameter monitor provides numeric EtCO2 and SpO2 values in addition to a continuous visual waveform — making it ideal for spot checks or continuous monitoring. Equipped with Nonin Medical's proven motion and low perfusion tolerant PureSAT SpO2 technology, and Medair EtCO2 technology, LifeSense provides accurate EtCO2 data on the first breath. Designed with emergency and operating room medical responders in mind, the VI-8410P patient monitor provides the efficient and fast-acting response needed for medical emergencies. Minimum ECG waveform and HR distortions during electrosurgical cutting and ablation, and total protection from electrosurgical interference prevent technical interference. Nasiff Associates announces the release of the first 12-lead EKG machine available on a tablet or smartphone. The CardioCard Mobile is a wireless 12 lead EKG machine with interpretation. The CardioCard Mobile is the first ECG machine with the ability to run a 12-lead wireless ECG test directly on Android tablets and smartphones, turning the portable device into a fully-functioning electrocardiogram machine. 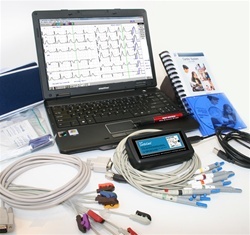 Now you can provide expert ECG analysis to patients in the doctor's office or halfway across the world. After performing an ECG, the CardioCard Management System performs further analysis and the ability to print reports. EMR connectivity assists with wireless record management, reducing errors and allowing immediate remote reviews. A PDF output option ensures a universally compliant format for storing and exchanging ECG data. Gain the combined power of advanced ECG technology with the versatility to store and send data. The CardioCard Mobile provides the ultimate portable ECG solution. For more information, contact John Gladstein at 877-646-3300 or click here for more information. A demonstration video is available here. CardioCard Products Now EMR Compatible! EMR integration now works with Nasiff products through the Cardio Universal EMR Interface! Acquire patient ECG in a Nasiff device such as the CardioCard. Then over read the report on a computer, add comments, sign and submit electronically. In addition to EMR submission, Nasiff ECG reports can be viewed in several electronic programs including Amazing Charts, Nextgen, and eClinicalWorks. Click here for more information on Nasiff EMR integration. 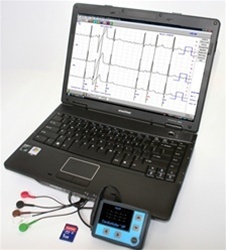 For more information on Nasiff devices and EMR integration please visit www.medicaldevicedepot.com. Capnography, which graphically monitors carbon dioxide concentration and measures ventilation and respiration, is utilized in operating rooms, intensive care units and other hospital areas where patients are under anesthesia or receiving sedation. This device sees greater use because it lets providers know that a patient is breathing effectively. Click here for the newest guidelines for use of capnography during sedation. Medical Device Depot sells a number of effective, low-priced capnographs. The most efficient device for long-term CO2 monitoring is the Nonin Respsense. For CO2 and SPO2 check out the Nonin Lifesense. Medical Device Depot also vital signs monitors equipped with CO2 monitoring. These monitors include the Propaq CS Monitor and the Venni Multi-Parameter Patient Monitor. For more information on these devices please visit www.medicaldevicedepot.com. A list of ECG/EKG machines approved by the FAA. For more information on these machines or to make a purchase. Call us at 877-646-3300 or visit www.medicaldevicedepot.com! Using maximal or submaximal treadmill/bicycle exercises, continuous ECG monitoring, and/or pharmacological stress with physician supervision, interpretation, and report. Physician supervision only. No interpretation and report. Tracing only, no interpretation and report. Microvolt T-Wave Alternans – for testing ventricular arrhythmias. 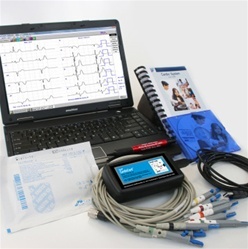 ECG monitoring for 24 hours by continuous original ECG waveform recording and storage with visual superimposition scanning; includes recording, scanning analysis with report, physician review and interpretation. At least 12 leads, with interpretation and report. Tracing only, without interpretation and report. 1-3 leads, with interpretation and report. Bronchospasm evaluation: spirometry as in 94010, before and after bronchodilator (aerosol or parenteral) or exercise. Prolonged postexposure evaluation of bronchospasm with multiple spirometric determinations after test dose of bronchodilator (aerosol only) antigen, exercise, cold air, methocholine or other chemical agent. Aerosol or vapor inhalations for sputum mobilization, bronchodilation, or sputum induction for diagnostic purposes. Noninvasive ear or pulse oximetry for oxygen saturation by continuous overnight monitoring. Utilizing a system such as magnetic tape and/or computer disk for 24 hours or longer; including recording, scanning analysis, interpretation and report. Physician review and interpretation and report. For more information on these codes and the devices needed, visit Medical Device Depot.